Thursday, April 11, 2019 • 5 p.m. to 7 p.m.
French Quarter Fest is nearly here! 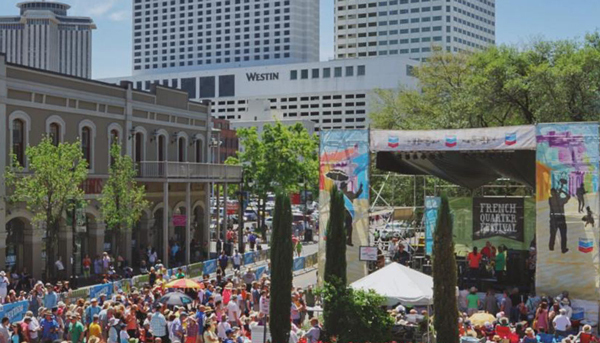 The Foundation office has an enviable location across from the cajun-zydeco stage. Our members are invited to join us on the gallery for happy hour with a bird’s-eye-view of the Chevron Evening Concert Series featuring Jon Cleary. Casual-wear and festival chairs are welcome. A current membership and R.S.V.P. are required for admission — Call 504.342.4760 or email [email protected] to check your membership status and reserve your spot!